Faculty of Arts and Social Science’s Head of Master of Philosophy (Social Science) Programme Foong Soon Seng and Kampar’s Centre for Foundation Studies lecturer Soon Cai En were awarded the Best Abstract Award, among the 145 abstracts that were submitted, at the 10th Malaysia International Conference on Languages, Literatures and Cultures (MICOLLAC) 2018. The event was held from 14 to 16 August 2018 at Hatten Hotel, Malacca. Both lecturers also received a cash prize of RM500 and a certificate each. 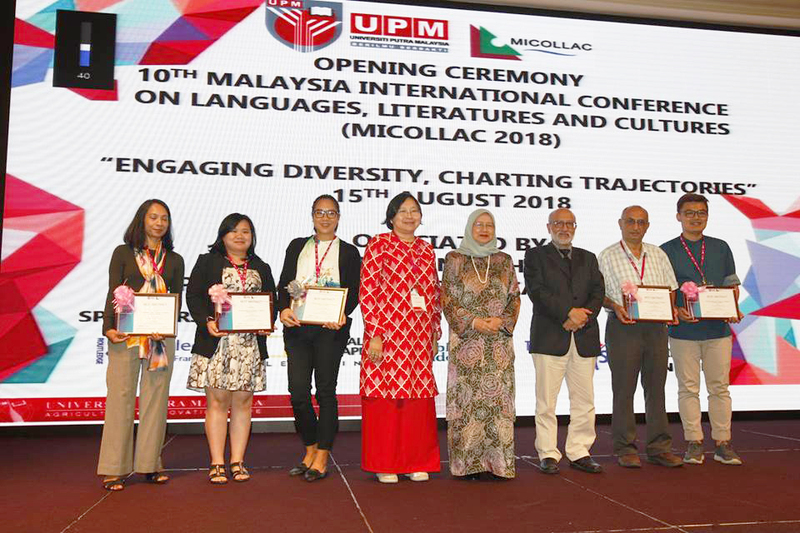 Themed ‘Engaging Diversity, Charting Trajectories’, MICOLLAC 2018 was organised by the Department of English of Universiti Putra Malaysia’s Faculty of Modern Language and Communication. 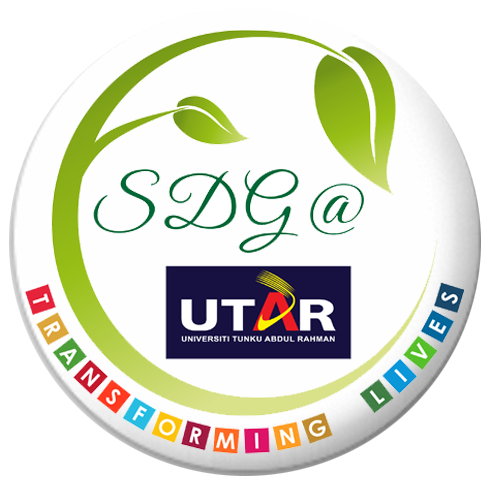 It aimed to offer a platform for local and international academics, educators, planners and teaching professionals to meet, discuss and share the latest research and fundamental advances in the field of language, literature and culture. The conference also aimed to encourage engagement between those practicing a wide variety of scientific areas to collaborate towards improving language and literature-related applications. “I am more than delighted to win this award. Perhaps it was the originality of the topic and content covered. The paper examines the notion of women’s madness in the east, where women’s abnormality (i.e eating disorders) is still perceived as a taboo from societal perceptions. This paper also uses an ecofeminist approach to argue that women’s association with nature is a form of empowerment rather than a form of weakness. Hence, the present study celebrates the women-nature connection and it transcends the woman protagonist’s inner awareness and personal integration, to overcome the stereotypical views on the issue of women’s mental health in the Korean culture,” explained Foong. Meanwhile, Soon commented that winning the award was unexpected, but has indeed motivated her to strive better for her postgraduate dissertation. “It was a surprise but I am thankful that all my hard work paid off. The abstract has all the necessary details that fulfilled the criteria and that made the abstract stood out from the rest,” said Soon. Foong’s winning abstract, as found in his research titled “Beyond the norm: Re-interpreting Women's Madness in Han Kang’s The Vegetarian”, described the discord of being a vegetarian in Korea, written in the novella titled “The Vegetarian”, by Han Kang. The novella depicts the story of Yeong-hye, an ordinary housewife, who suddenly decides to stop eating meat after a series of dreams involving images of animal slaughter. In the middle of the novella, Yeong-hye apparently stops eating entirely and consumes water only. Hence, being deemed as a form of women’s madness (i.e. eating disorder), the present study aims to re-examine Yeong-hye’s eating problem as an act of self-preservation, in response to the subjugation imposed by the patriarchal society. The present study adopts the ecofeminist spiritualties in order to look at the spiritual side experienced by Yeong-hye and hence re-interprets her eating problems as a form of empowerment rather than a form of women’s madness. Foong also mentioned that some scholars argued that “eating problems are logical, creative responses to trauma, and it identifies an effective method of healing”. This is also in accordance with the idea brought forward by ecofeminist spiritualities; that it embodies a kind of power, including personal power, which helps women to resist the patriarchal dominance and to cope with their personal trauma. Soon’s winning abstract, as found in her research titled “Culture/Nature Dualism in Terry Pratchett's Equal Rites”, addresses ecofeminism, which is another aspect of feminism where one places the emphasis of ecology in human realities. By applying this onto a novel written before the 21st century, it gives insight to how one perceives the relationship of nature and humans. Novels or books are essentially knowledge banks and sometimes serve as a record of human history. Studying books allow one to see what one is unable to see.